Voted #11 Cigar Aficionado's Top 25 cigars of 2013! Oliva Serie O is the Oliva Cigar Co.’s take on the Nicaraguan puro. Made with either sun-grown Habano or Connecticut Broadleaf wrappers, these medium-bodied, handmade beauties are some of Oliva’s finest, with the sun-grown version boasting notes of rich tobacco, cedar, and spice and the maduro-wrapped version carrying deeper spice and cocoa character. From both wrapper shades, you can expect a deeply complex smoke that showcases the nuances of fine, aged Nicaraguan tobacco as well as cigars twice their price. Oliva Serie O Churchill Sungrown is a classically rich and perfectly balanced smoke in a traditional 7x50 Churchill vitola. First time trying any Oliva brands and am really enjoying them! Great bang for the bucks. A mild and flavorful smoke with moderate complexity. A good alternative to Oliva maduros. These are much milder than the Oliva V series. A go-to everyday smoke. The cigars are somewhat difficult to keep lit at the nub end. A very good cigar that is a best buy bargain. I bought two boxes because my son bought me a sampler. I loved the one he gave me. I have only had one from the box and it was a little tight. I'm admittedly a nicaraguan cigar fan. The Oliva family of cigars are a favorite brand. The two frontmarks I like best are the "V" and the "O". The "V" are stronger and quite a bit more expensive. The "O" are more medium to medium-full, but there are times I prefer a more medium flavored cigar. The "O" is, I believe, one of the best value cigars available. Oliva is my preferred brand. They are consistently well-constructed, tight but not too tight, leading to a satisfying, long-lasting smoke, particularly with the Churchill. Whether I smoke the Sungrown or the Maduro is simply a matter of my mood at that time. BCP brings them into my price range so I can smoke one daily. These are my first ever box of cigars. I bought a 5 pack and loved them, so I took the plunge and got a box. What a great decision! Every time I have one I marvel at how flavorful and consistent they are, and since I have a box I can give a few away to my mooch friends. Not many though, these are too good. Great draw and burn, slightly spicy, with cedar and woodsy flavors throughout. And the price point is incredible for such a high quality smoke. Absolutely a go-to, I'll always have some in my humidor. I love these cigars and the price cannot be beat. Nice draw and burn. Also an excellent value on a solid medium bodied cigar! One of my all time favorites. Full. Nicaraguan Puro with tobaccos from Esteli, Condega and Jalapa Valley. Habano Sungrown wrapper. Tasty earthy flavors with spices and cedar. 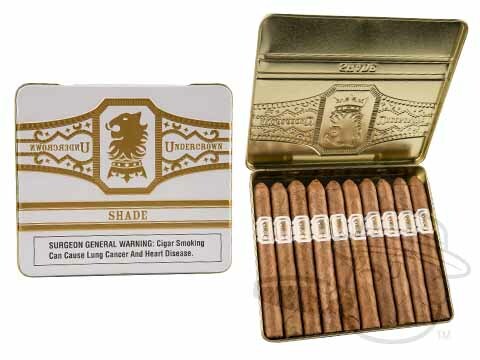 This cigar is well constructed, smokes evenly, and delivers a smooth mild-medium taste. To be this good, to be this consistent box after box, at this price point is a testament to Oliva. 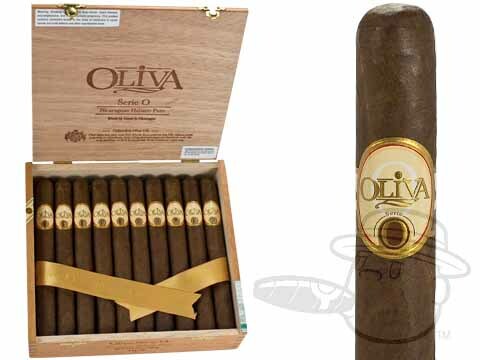 Oliva Serie O Churchill Sungrown is rated 4.3 out of 5 based on 23 customer ratings.